No matter how you may be feeling right now, no matter whose approval you haven’t received, know that you can still live your dreams. There’s nothing you can do now or say to change that. If you’re thinking, like I did, “I’ve made so many mistakes, how can I be approved?” I finally realized that to be truly used for what you were created to do, you have to separate yourself from your behavior, grow and live your dreams, learn how to make better choices, and learn how to realize your potential. Knowing that you are called and approved is great, but now it’s time to put things into action. Join one our small groups to start prioritizing your priorities. 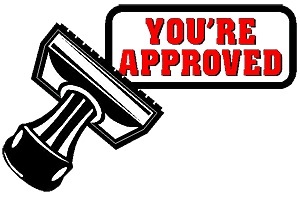 Your approval rate will increase even more.